How many of these 12 prominent video-sharing places have you tried? So you've made your first scribe video, and now you want to send it out into the world. But how do you make sure it's seen by as many people as possible? These are the places where your video will get noticed. 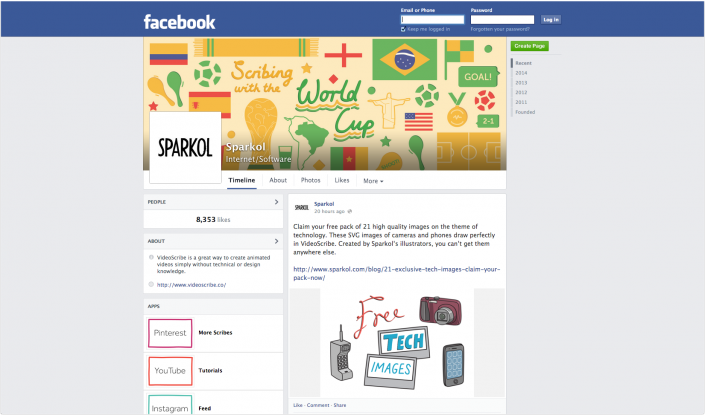 These 12 platforms are proven places for your masterpiece to be seen by a whole new audience. Okay, we're a bit biased about the last one, but how many on this list have you used? YouTube is the easiest place to find, watch and share a video. 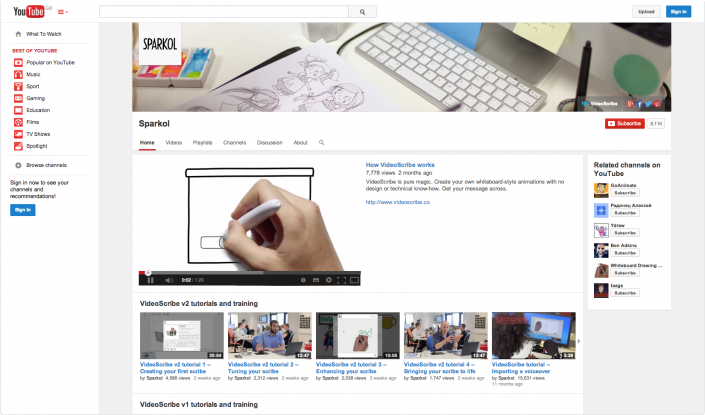 A video on YouTube is easy to embed almost anywhere on the web. And YouTube videos show up more in Google searches than videos on other sites. All of this means that YouTube is the place on the web to find a video. A staggering 100 hours of video are uploaded to YouTube every minute. Vimeo is a great alternative to YouTube. Whilst nothing near the size of YouTube, it still has a huge amount of videos. 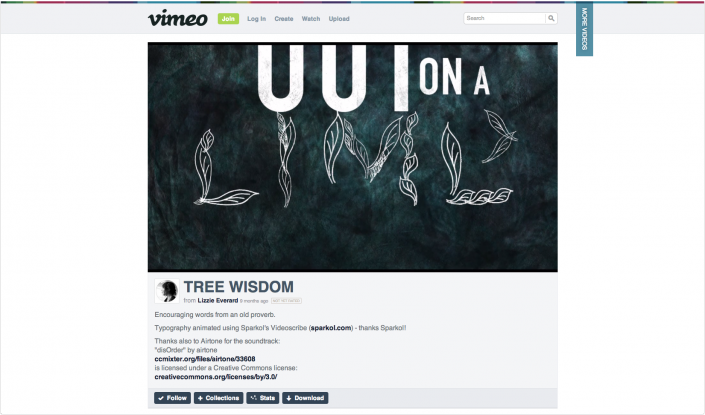 Vimeo is often seen to have a more select, better quality of video. Their 'Staff Picks' page is where they hand-pick great Vimeo uploads. They are usually picked for their quality in communicating a message and the visual aesthetic. Be aware that Vimeo will begin charging when you start uploading more than 5GB of videos per week. There are so many social networks out there now that you could post your video to. A friendly and enthusiastic presence on social media sites can really help to boost your self image, business or product. It is so easy to share videos on Facebook. Simply copy and paste a YouTube URL (web page address) when writing a post and Facebook will generate a preview. You can also upload a video directly to Facebook. Sharing stuff on Twitter is a really good way to get it seen. Obviously the more followers you have the more people will see it and a great video will attract new followers. This can have a snowball effect that can reach thousands. Why not give people a taste of your scribe video by putting a short clip of it on Instagram ? Instagram has millions of users. Tags are used a lot more with Instagram, so an effective use of tags can get your video in front of a huge audience. Pinterest and Google+ are good platforms for sharing your video as it is so easy for people to view and play videos within the site. The layout of both these sites lend themselves to lots of visual posts, they are easy to view and easy to share. LinkedIn is a great place to join groups and discussions with professionals in similar industries. If you find the right audience it can bring really good engagement. Discussions and groups on Linkedin tend to have very active and engaged communities. Where better to display your scribe than on your own website? 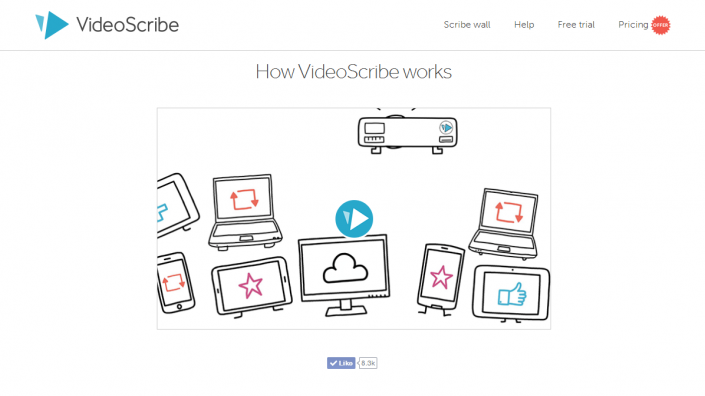 Scribe videos produced using VideoScribe can be embedded straight into html. This is a great way to deliver your message direct to the people who need to hear it and keeps people on your website for longer. Put your scribe video onto the big screen in training sessions and presentations at work. Videos can be projected and are much more engaging than static slides or PowerPoint presentations. Videos created in VideoScribe can also be used within presentation software to make a more engaging performance. Learn how to use your scribe videos in presentation software such as PowerPoint, Keynote and Prezi. All that's left to do now is go and make your video and get it out there. If you make a particularly sweet one you can even submit it to our scribe wall to show up as a featured scribe. Not as big as YouTube – but in very exclusive company!